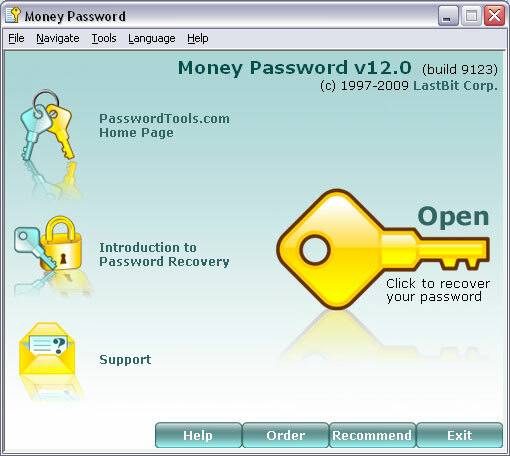 Money Password is able to recover password-protected MS Money databases. 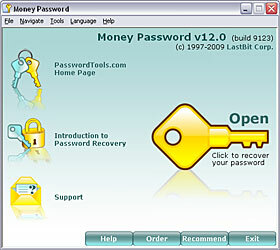 Money Password supports all MS Money versions through Money 2006.Instantly recovers passwords for MS Money files version 2001 and earlier. Please note that in MS Money 2002+ the protection scheme was significantly improved, so universal recovery methods, such as Brute Force Attack and Dictionary Search, must be used. This may take a lot of time and even fail if the password is long and complex. This problem is of global nature - in general, protection in MS Money is very complex. You can use our Password Calculator to estimate required recovery time for your specific situation. Please read this article for more information.